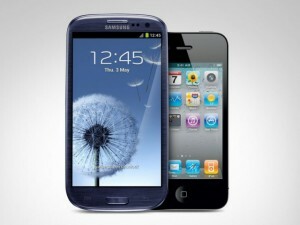 Samsung Galaxy S III vs. iPhone 4S – Who is the Winner? Many people compare the Samsung Galaxy S III to the Apple iPhone 4S because they are very similar. Both smartphones are popular, and both are multifunctional devices that can be used for a variety of purposes. While the iPhone 4S does win in some categories, the clear winner is the Galaxy S3. That might come as a surprise because of the iPhone’s popular perception as the best smartphone in existence, but read on to find out why the Galaxy S3 is really the better device. There are many people that don’t like that the iPhone 4S only has internal storage. If you want to save more files, then you need to upgrade to another iPhone with more storage. This costs a lot of money, and it’s just frustrating. While the Galaxy S3 has a relatively small internal storage space, you can easily enhance it by using a MicroSD card. This means that you can dramatically increase your storage space for just a few dollars. The the all new smartphone from Samsung offers almost 50 percent faster download speeds. The iPhone has an average download speed of 14.4Mbits/s, but the Galaxy S III has an average download speed of 21Mbits/s. This means that you can quickly download files, websites, apps and movies for your Samsung device. If you’re tired of waiting for things to load, then try out the Galaxy S3. DROID INCREDIBLE 4G LTE Review – A Perfect Smartphone with the Right Size? The Droid Incredible 4G LTE is a new addition to the Verizon lineup that some people are confused about, but others are welcoming it with open arms. This smartphone is not what people expected. Many were expecting a larger phone since that is the predominant trait among new smartphones. Most of them are using larger screens and bigger handsets, but the Incredible 4G goes against that. 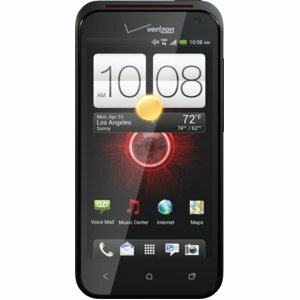 This is a smaller smartphone than the other Verizon models, but does that make it any less powerful? This review will give you the full details. The HTC Incredible 4G is considered one of the smaller new smartphones out right now, but its screen is actually fairly large for its small body. You get a 4-inch screen that looks very good. The resolution isn’t exactly the peak of perfection, but it is among one of the best. You get a pixel density of 275 pixels per inch, and it has a qHD resolution rating. The screen may not be huge, but that’s the point. There are many people that don’t like huge phones, and this easily satisfies that crowd. This model is meant to comfortably fit in the hand without feeling bulky. 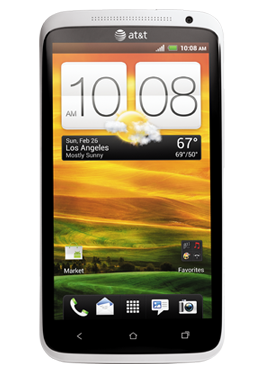 The HTC Evo 4G LTE is a phone that many people are excited about. The phone is great for many users, but there are a few areas where it seems to slow down and chug. While most people will like this phone, there are some users that will find the battery life or the performance a little daunting. Read on to see just how good this phone is. The Evo has a very clear and powerful design. It is less than 9 millimeters thick, and it just weighs 4.7 ounces. The screen is a huge 4.7 inches, but it doesn’t feel unwieldy or difficult to hold. The dimensions are just right for the hand. The back has a shiny black top, a matte gray bottom and a red stripe separating the two. The red stripe is interesting because it also functions as a kickstand. The kickstand is a little difficult to use for some users, especially if you have short fingernails, but it is dependable and looks amazing. When it comes to the aesthetics, the Evo 4G LTE doesn’t disappoint. It looks great and the huge screen is a plus for most users. 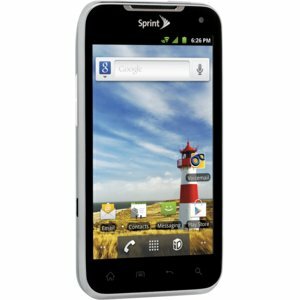 LG Viper 4G LTE Review – Is It the Best Sprint Smartphone You Can Get? 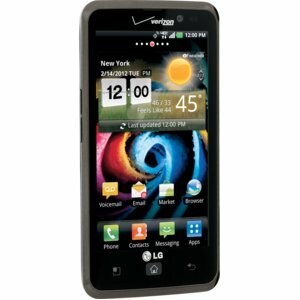 The LG Viper 4G LTE is the latest phone Sprint has created in an effort to market 4G LTE smartphones. With fast connection speeds and an eco-friendly design, this phone has come out right in time for earth day. 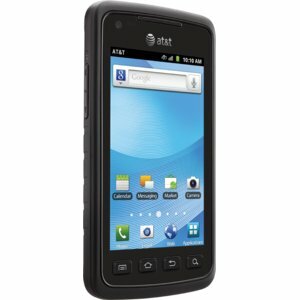 At only $99.99 with a contract, it is one of the cheaper smartphones on the market today. The casing of the LG Viper 4G LTE is made out 50 percent recycled materials and comes with a metallic finish. This barebones design features four sets of interactive Android buttons and a front-facing VGA camera. The sides of the model are outfitted with a power button, volume control, microUSB port and headset jack. The 4-inch NOVE displays on the LG Viper are decent enough and have 700 nit brightness. Even when the phone is outdoors, the display is extremely readable and produces very natural colors. The biggest issue with the display is the inconvenient layout of the navigation keys. Place extremely close together, they also have the disconcerting habit of always being in the wrong place at the wrong time. 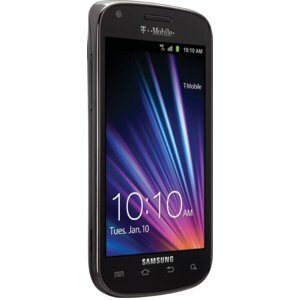 One of the latest of T-Mobile’s smart phones to hit the market, the Samsung Galaxy S Blaze 4G is outfitted with a dual-core processor. Capable of accessing T-Mobile’s HSPA+42 Mbps network, this phone is as fast as it is sleek. Comparisons have already started to be made between the Galaxy S Blaze and the HTC One S because of its price tag and quality. Samsung has upgraded the quality of the phone’s materials so it feels like a far better designed product than their other phones. The elegant design has a brushed metal camera pod and an outer bezel that resembles pewter. The outside of the phone features a micro-USB port, a microSD card slot and a headphone jack. Inside, it packs the same engine that the Galaxy S II and the Skyrocket are run off of—the Qualcomm APQ8060 SoC. Users can enjoy 1 GB of RAM, a 1,750mAh battery and a 5-megapixel camera. The Samsung Galaxy S Blaze 4G is set up for free Wi-Fi phone calls, Bluetooth 3.0 and 802.11a/b/g/n Wi-Fi. Users can take advantage of USB tethering and mobile hotspot capabilities. As the company faced a higher level of competition, HTC has come out with an answer: the HTC One X. The smooth white phone shows a forward thinking vision that makes HTC the company to copy. Innovatively designed and packed with features, this phone has everything a busy exec, techie or average Joe needs during their daily grind. This new product is outfitted with a glossy polycarbonate unibody that has matte on the back. This body protects the body from scratches and bumps while not interfering with any signal. 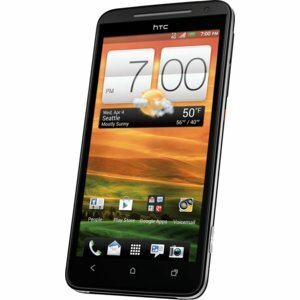 Boasting a 4.7-inch display, the HTC One X has an 8.9 mm profile. Although a little bit bigger than necessary it has a weight of 1.1 ounces that is not terribly high compared to similar sized phones. The phone also offers MHL-capable micro-USB port, a five-pin connector and a strong speaker system. This speaker system is comprised of 84 holes and packs a lot of audio punch—as long as you are not listening to anything with too much bass. The One X gives users 32 GB of memory and runs on the quad-core Tegra 3 by NVIDIA. One X’s processor has 1 GB of RAM and the phone is outfitted with Android Beam functionality. As far as software goes, the One X has a program that is best described as a mix of Sense 4 and ICS. Although it might not be perfect, it works well with Google’s original designs and is far less onerous than other models. Once a far more substantial player in the mobile arena, LG’s market share has slipped significantly in the smart phone era. The iPhone from Apple and various Android models from giants like HTC, Samsung and Motorola have shot to stardom while models from LG and its formerly trendy colleague Nokia have languished in obscurity. LG aims to do something about that by introducing its own “must have” Android model, the all new LG Spectrum. Featuring some impressive internal silicon, the latest 4G networking capabilities and a lean profile, it may just be enough to rekindle LG’s fire. Under the hood, the LG Spectrum boasts a 1.5 GHz, dual-core Snapdragon processor, an Adreno 220 GPU, 1 GB of RAM and 4 GB of built-in storage. 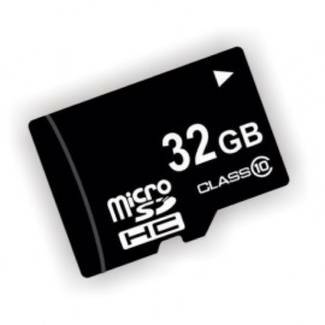 In addition, the Spectrum comes with a 16 GB microSD card that can be swapped out for a 32 GB model. The display is a high-definition IPS unit that measures 4.5 inches diagonally and puts out 1280 x 720 resolution for a pixel density of 326 PPI. The screen is protected by a layer of tough Gorilla Glass for added peace of mind. With the wide array of smart phones available on the market, consumers have their options open when it comes to finding the best technology, the sleekest design, and the most apps and gadgets. But what the majority of smart phones fail at is durability. Despite their many attributes, they fail miserably in tests of durability. This was true until Samsung introduced the Rugby smartphone. A mid range smart phone with relatively modest specifications, the Samsung Rugby Smart stands out among smart phones, not for its technology but for its simplicity. A serious upgrade from the original Samsung Rugby, the Rugby Smart is built like a tank and able to withstand just about anything you throw at it. Built to meet military specifications for protection against dust, water, and electric shock, the Rugby Smart is an impressive phone. While it’s definitely not the phone for the consumer who needs frequent smartphone capability, such as frequent application usage, the Rugby Smart holds its own among competitors for its ability to withstand the elements. Samsung Galaxy Note Review – Is It Too Big for a Phone? 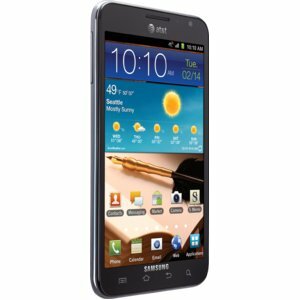 The Samsung Galaxy Note is the newest smartphone available from AT&T Wireless. Most likely, you have seen commercials for the device shown on TV multiple times over the past two to three weeks now. The Galaxy Note is not your standard smartphone, and as a matter of fact, it is somewhere between a phone and a tablet. To put it succinctly, the device is enormous. Samsung’s newest smartphone sports a 5.3 inch Super AMOLED touchscreen that offers the user a brilliant and amazing visual experience, making the Note wonderful for mobile web browsing. It runs on the Android 2.3.6 Gingerbread operating system and includes a 1.5GHz dual core processor, offering the device a good amount of speed that is perfect for multi-tasking. One of the best features of the Samsung Galaxy Note is that it connects to 4G LTE speeds. Due to the large size of the phone, you will not only get a charger included with your purchase but what is dubbed by Samsung as an “S Pen,” which is essentially a stylus. This component is included because it is easier to use the Note with it rather than using your finger. However, a particularly fun feature to this effect is drawing, which is not exactly an activity you can perform with just any smartphone.